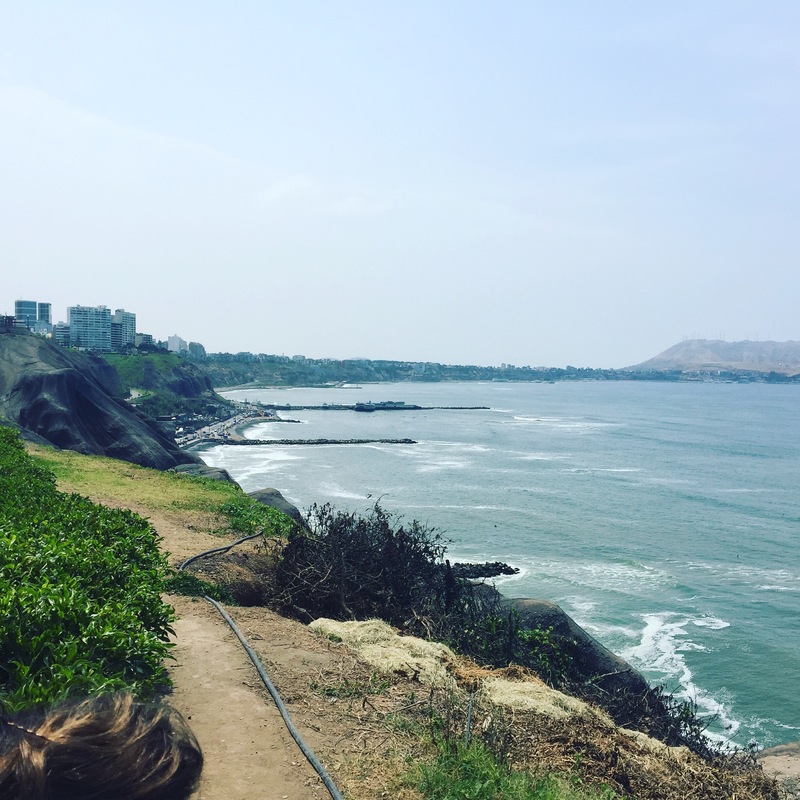 Picturas de Peru – Hear Me Roar. 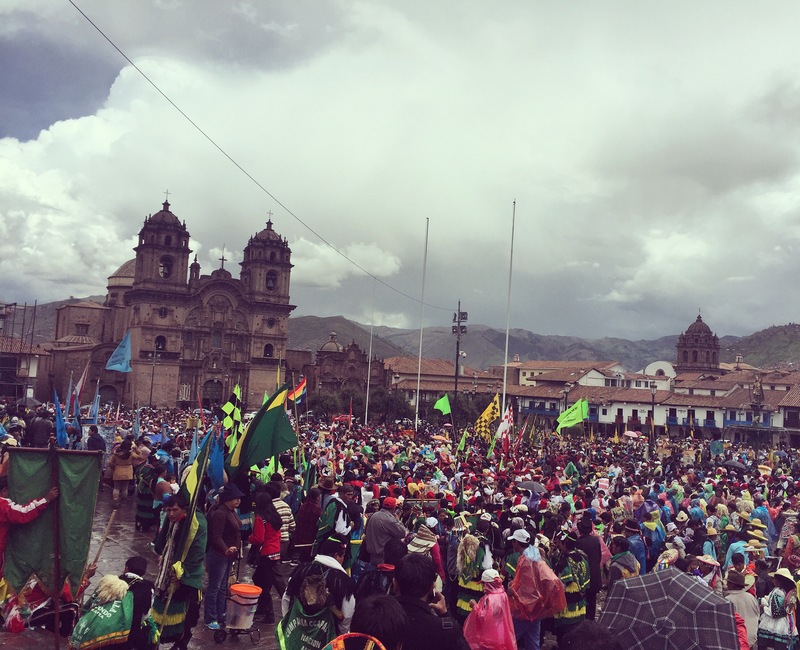 On Monday Sarah and I walked allllll over Cusco – up a hill to Sacsaywoman to BlancoCristo, back down to the Plaza de Armas where there was a large gathering and an impending parade* with colorful beaded costumes, through marketplaces lined with alpaca products, down and around windy roads lined with fresh fruit and veggies for sale. We recharged with coffee and tiramisu and later with avocado and pollo and papas fritas. And even later with panqueques con helado y platano y chocolat. Needless to say we are enjoying the cuisine. Today is Sarah’s birthday! 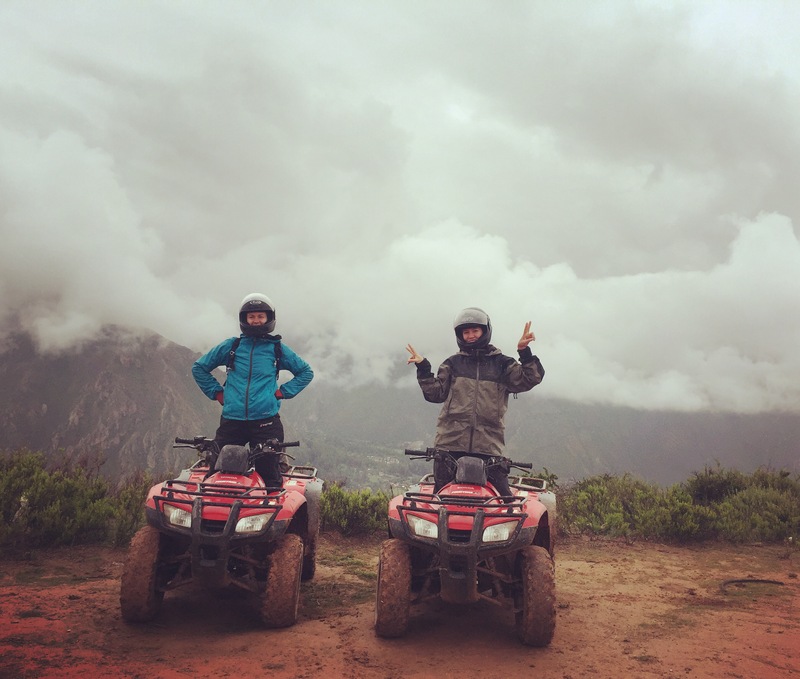 We celebrated with ATV rides through the Sacred Valley where we visited a canyon of salt flats leftover from Incan times. The clouds covered the tops of the mountain and gave such an ethereal feel to the valley. By the end of the ride we were muddyyyyyyyyy. It rocked. Tonight we are on the quest for Guinea pig and other Peruvian delicacies. 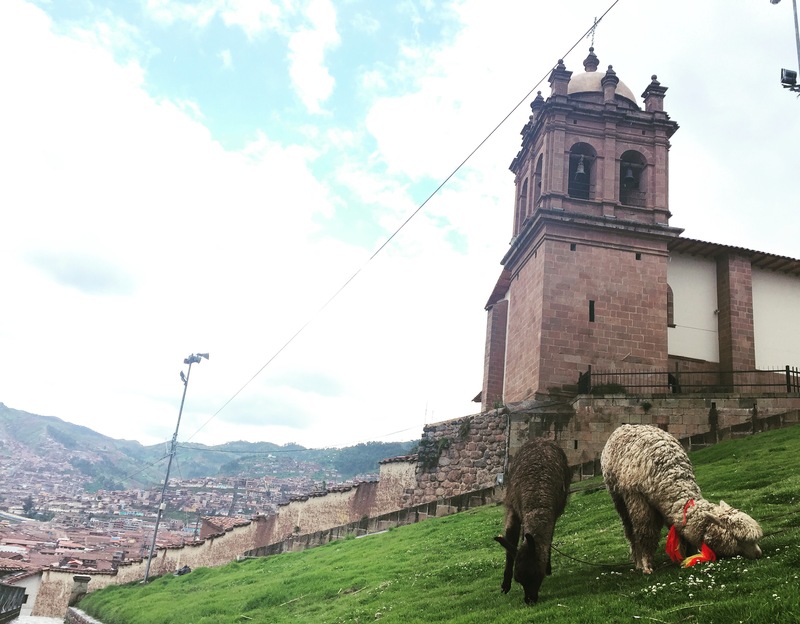 When in Peru, riiiight?! 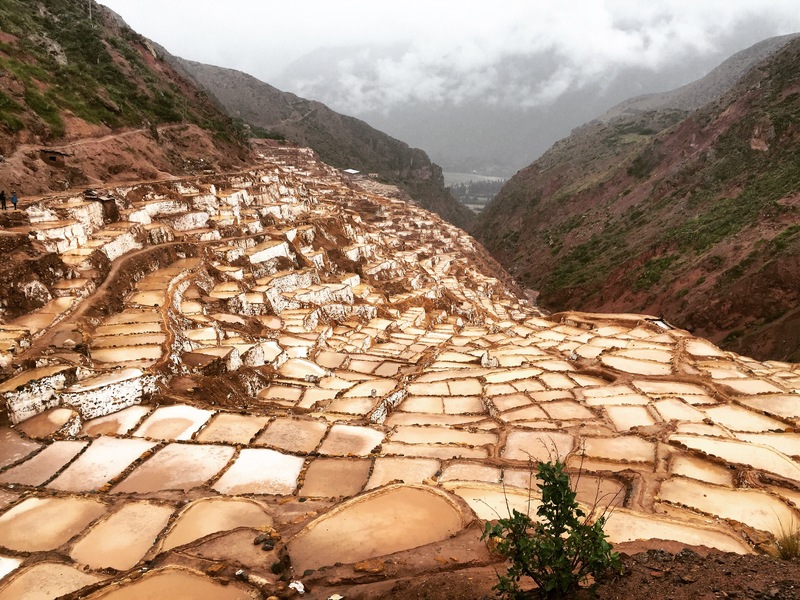 Tomorrow we begin our 4 day hike along the Incan trail to Machu Picchu at dawn! It’s been raining most the days and evenings but it is no match for our rain gear. Except our socks. Our socks are no match for the rain. *We had no idea what the occasion was for the gathering nor the parade but such is the limited understanding of a traveler with limited language abilities. 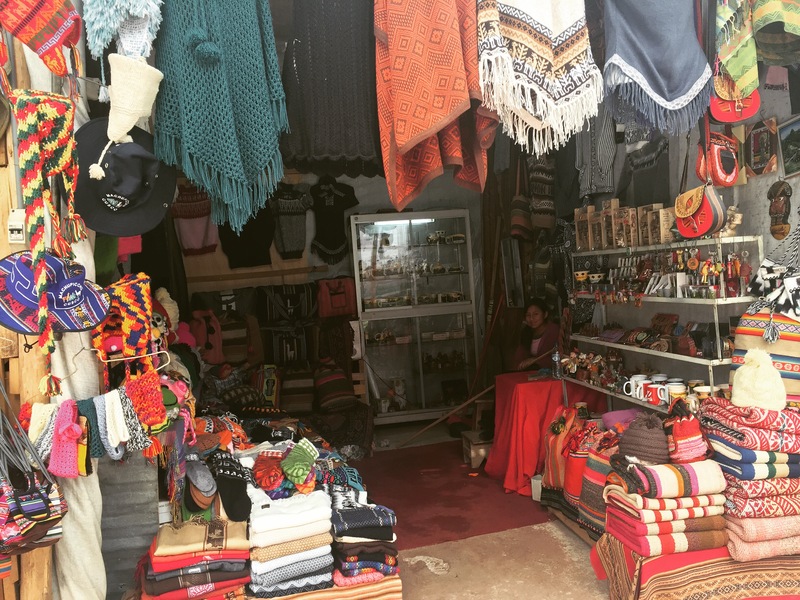 The way the world of the locals is intertwined with the experience of tourists (and vice versa) is interesting to me – it’s like a symbiotic yet separate relationship with a knowledge of but no deep understanding of the other. As a tourist I have more of an understanding of the way their world looks, but I have no deeper an understanding of the nuances of daily life of a local. And I’m sure many locals have a very limited understanding of the lifestyle of a tourist or of life in America if they haven’t traveled or lived there. But so we go on, living and experiencing in relative harmony. 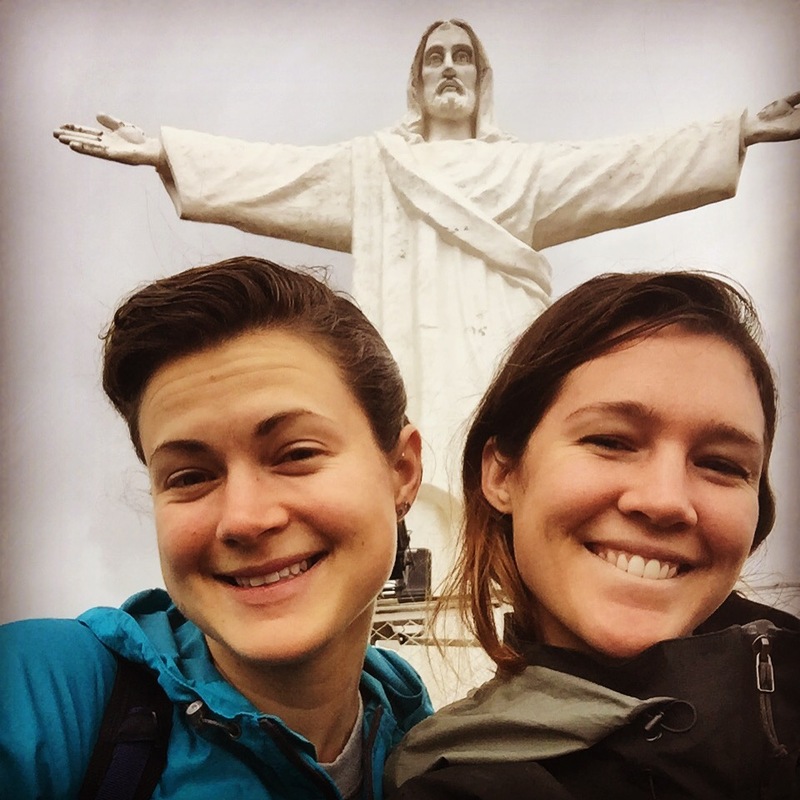 Previous Post The Peruvian Adventures Begin! 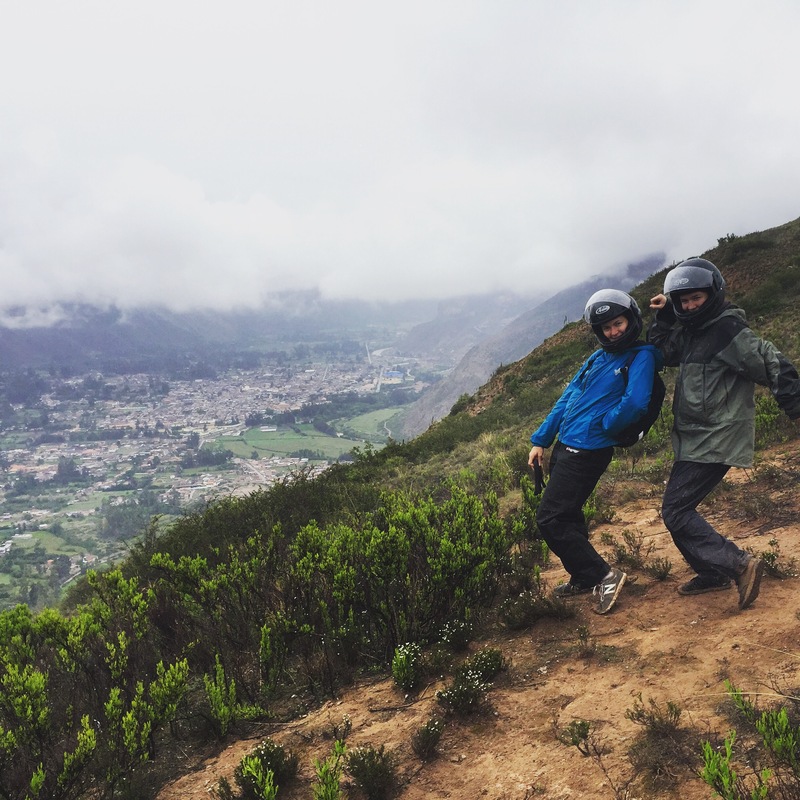 Next Post Salkantay, Machu Picchu, and Cuy oh my! 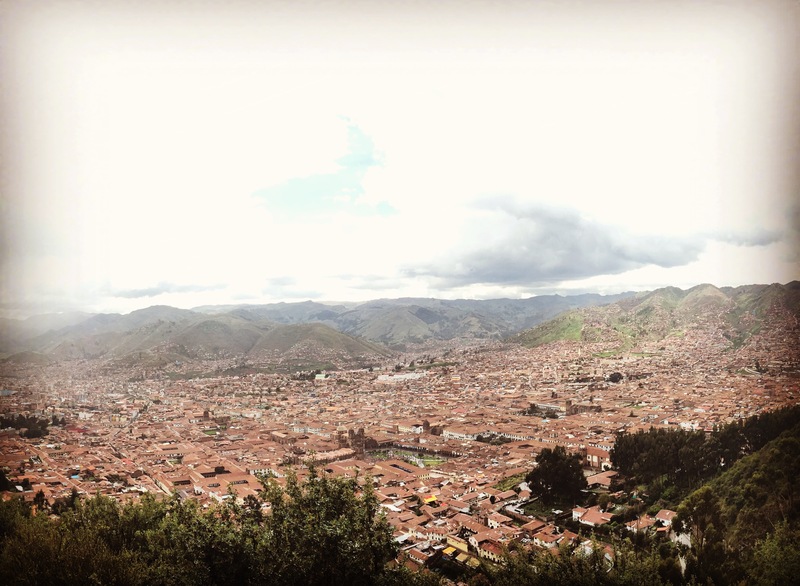 Once per month, the city of Cusco has every village in greater Cusco come to celebrate their ancient heritage. 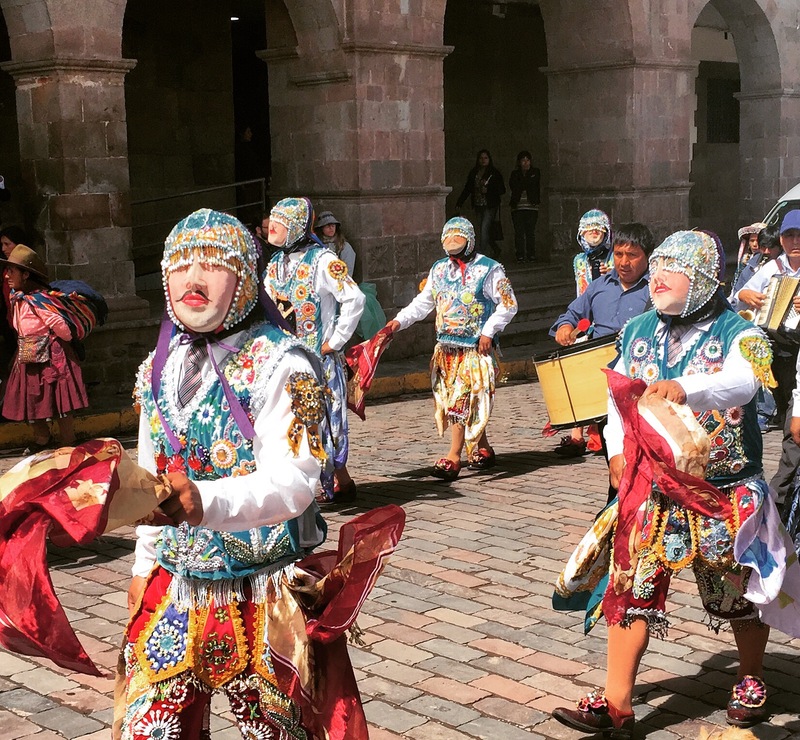 They bring out their finest work, where the modern and traditional Quechuan (Indians) display their interdependency and mutual respect, i.e. the cops stop traffic for the Indians. Did you know that Tupac Shakur was named after the great leader Tupac Amaru, the last indigenous Inca (king) !? !